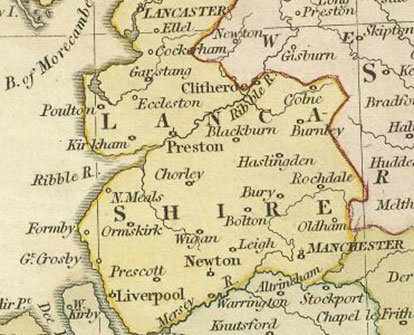 In the mid 1700s the Walmsley brothers from Preston in Lancashire came to Ireland and settled in the Mourne area. 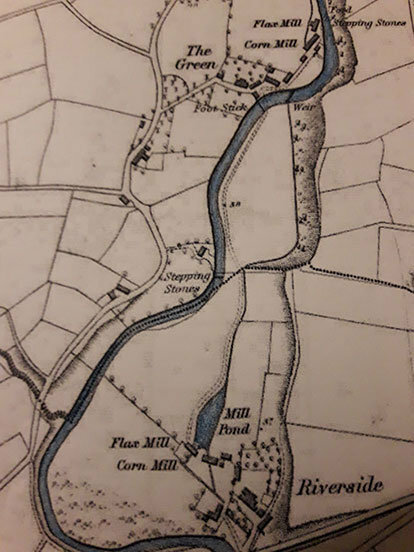 As an industrious family they soon spotted an opportunity and so they sought and were granted leases by the Lord Kilmorey for lands along the Kilkeel river with the plan of building a series of mills to serve the needs of the farming community. 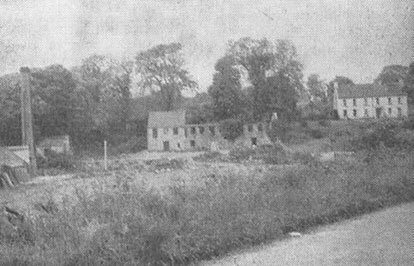 The Flax mill at The Green was probably constructed around 1780 with the Corn Mill following shortly after. For over one and a half centuries these buildings were a hub of local industry grinding corn and scutching flax. 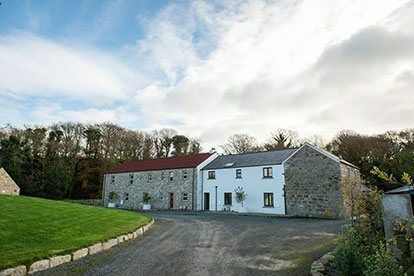 By the early 1800’s the Walmsley family were well established and experienced with mills at The Green, Riverside, Ballymagart and Ballykeel. Henry married on the 9th June 1889 to Frances Alexander at Groomsport Church of Ireland. He was 54. They had no children. 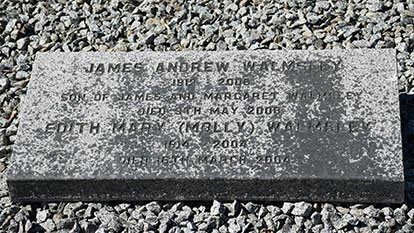 James Andrew Walmsley had married Edith Eason in Dublin in 1937. 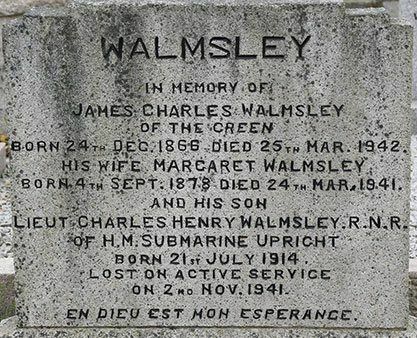 On Henry’s death The Green passed to James Charles Walmsley the eldest son of Andrew of Riverside and from him to his eldest son James Andrew Walmsley in 1942. 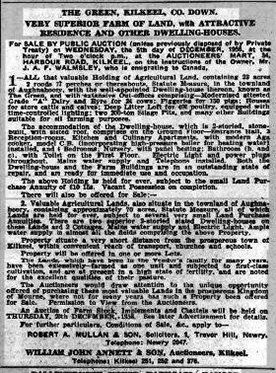 On the 25th March 1942, James Charles Walmsley died, exactly a year and one day after his wife Margaret and 4 months after his son Lieut, Charles Henry Walmsley who was lost on active service. In the 1950s demand for the mills declined and so it was that a great great grandson of the Walmsleys sold The Green to a local farmer. 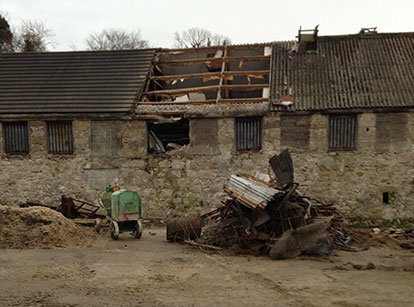 Over the years the original buildings were used as byres, chicken houses and stores and had fallen into a poor state of repair. On emigrating to Canada, the Green was sold by auction on the instruction of the owner . J. A. F. Walmsley by William John Annett & Son. 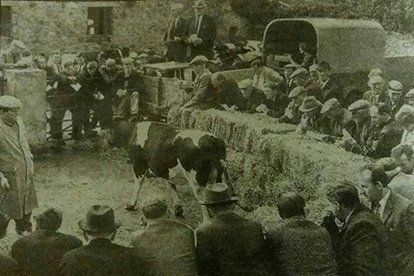 In the 1960’s The Green was used frequently for the sale of cattle. 2016 – The First Visitors! 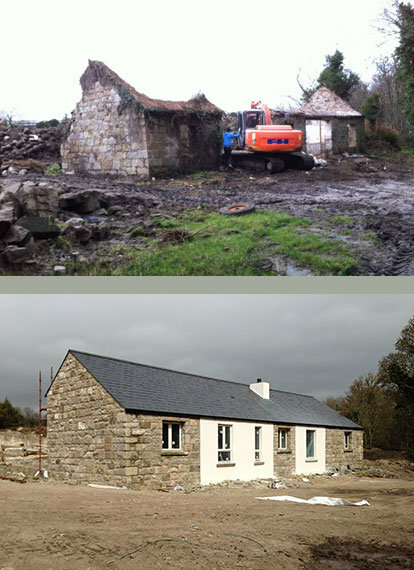 In 2016 we welcomed our first visitors to Wee Home and in 2017 we completed work on The Granary!